Samsung 48" LED 1080p Smart HDTV $379.99! Ships FREE! You are here: Home / Great Deals / Christmas Deals / Samsung 48″ LED 1080p Smart HDTV Was $600 Now Only $379.99! Ships FREE! 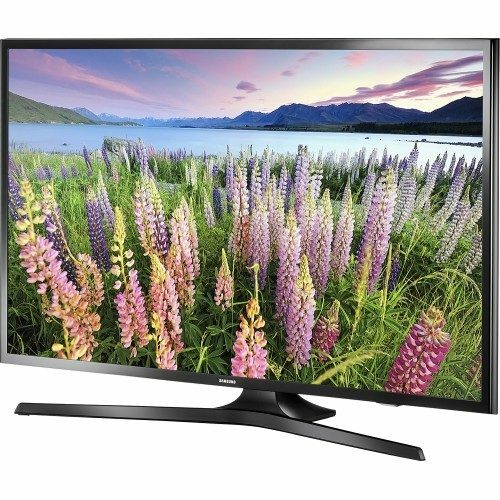 Samsung 48″ LED 1080p Smart HDTV Was $600 Now Only $379.99! Ships FREE! Great deal at BestBuy! Order the Samsung 48″ LED 1080p Smart HDTV Was $600 Now Only $379.99! Shipping is FREE! Samsung UN48J5201AFXZA LED Smart HDTV: Put your favorite entertainment at your fingertips with this Samsung Smart TV. Stream movies, TV shows, sports, social media, interactive games and more, and enjoy it all on a large Full HD screen.